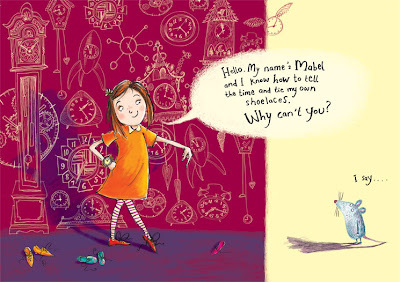 Sarah Warburton Illustrations: Mabel and Me. 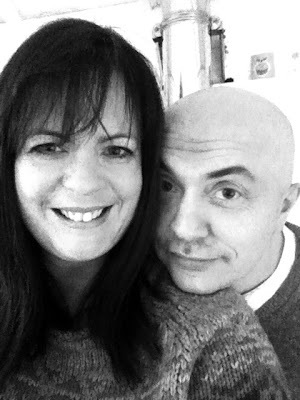 Mark and Me. 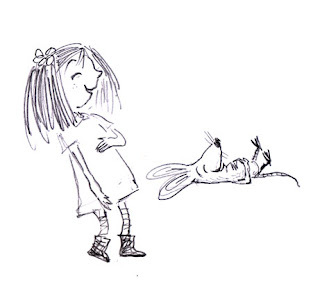 Mabel and Me. Mark and Me. This month Mabel and Me - Best of Friends by Mark Sperring and myself will be published by Harper Collins, and I will be emotional. This book has a special place in my heart. In fact, the themes in the book itself seems to sum up it's own back story. To start this story we have to go back to circa 1997. I was a struggling illustrator and having given up on London due to lack of funds, I returned to the familiarity of Bristol. I got a part time job at a local bookshop where I met Mark. Mark was hardworking, fun to be with and said hilarious and often surreal things. When he said one day that he wrote stories, I remember mentality rolling my eyes. Sometimes this statement can be as awkward as the "My Aunt Enid does watercolours you know"type that anyone who has ever dared paint or sketch in public has endured. However one evening over a glass of wine, Mark showed me two texts - 'The Pudding Monster' and 'The Hat that found God' ( the later being how I remember the title but it may well have been named after another glass of wine!). The long and the short of it was, Mark could write. I thought he could write very well. I found that Marks ideas were so visual, they were just begging to be drawn up. Plenty of them were rather inspiring. Before long, we were naively sending off stories together to publishers plucked cold from the Writers and Artists Yearbook. We sent fully drawn up black and white dummy books. 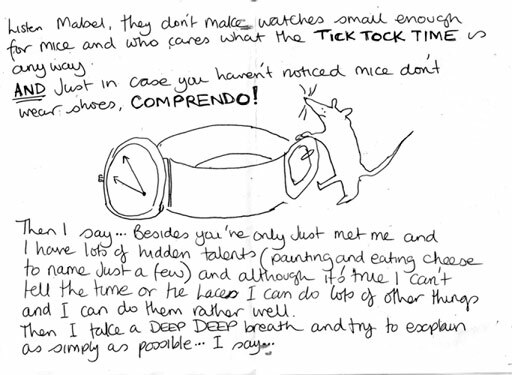 Brain storming, drawing, sellotaping pages together, choosing a publisher, then patiently waiting for the rejection letter - it all became a bit of a hobby for us. 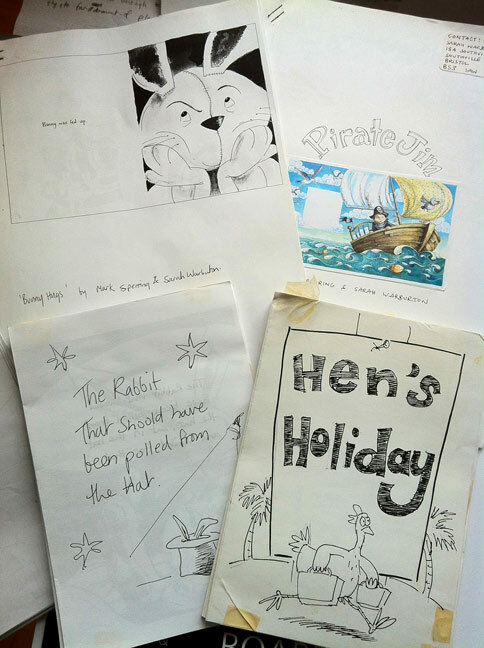 I still have copies of many of them on my shelf - The Rabbit that should have been pulled from the Hat, Pirate Jim, Bunny Hugs and Hen's Holiday among my favourite rejects. The rejection letters ranged from "we don't do rhyming text" "There's no market for Pirates" "No thanks, but please try another story" to "Please don't send us anything again" ( we laughed hard at that one in particular as we tore it up and threw it into the river Avon!). Of course eventually the inevitable happened. 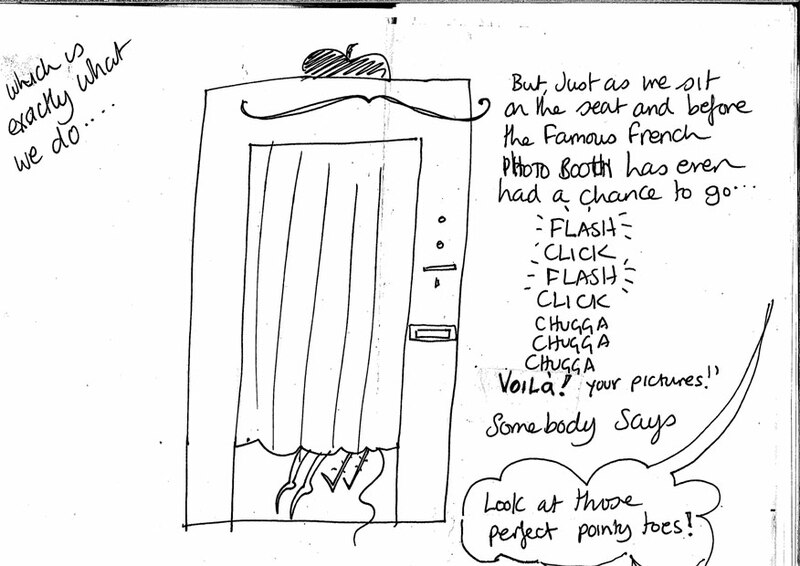 A publisher became interested in one of our dummy books - but they weren't too keen on my artwork. 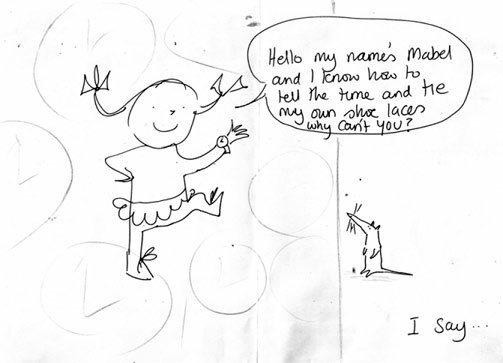 Mark and I decided together that I should step aside to allow Mark to work with a different illustrator. I was genuinely happy for Mark, but lost a lot of confidence in my abilities. It was a turning point. I tried harder with my style of drawing and started experimenting more. 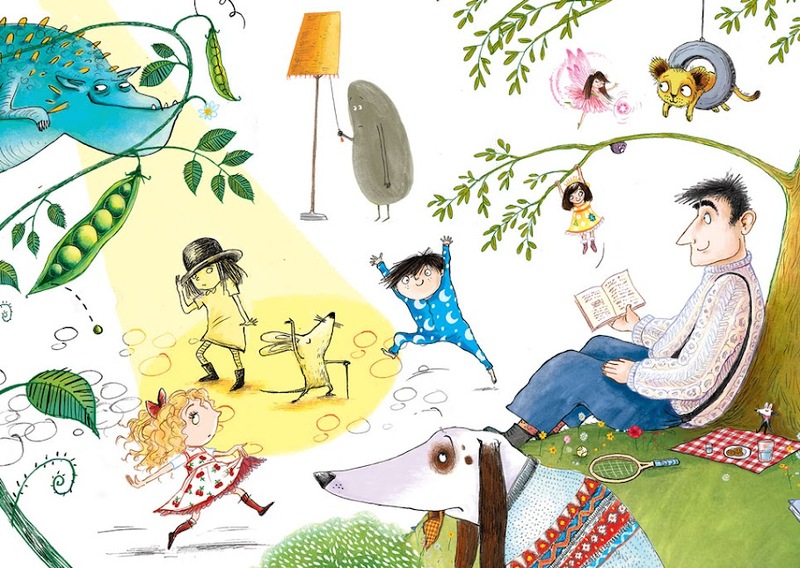 We learnt a lot about the way things are done in the picture book world and we never submitted anything together again. We gradually carved out our own paths - professionally at least. 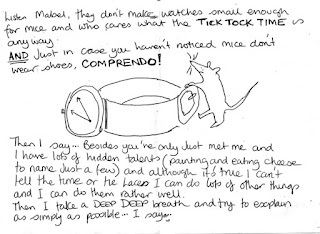 Then in circa 2009, sat in my car together in a gym car park Mark showed me a dummy book of an idea that had (according to him) driven him almost mad in the speed to get it on paper. It was called "Mabel, I'm Me". 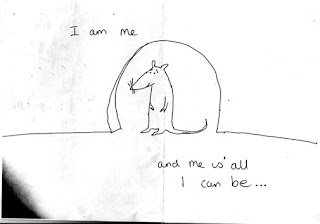 I opened the first page and there was a simple drawing of a mouse stood outside his mouse hole saying "I am me, and that's all I can be". I was immediately hooked in. If there ever was a dummy book equivalent of love at first sight - this was it. It was different, funny, even shouty in places. A simple story about a mouse with a pure inner confidence in who he is. Brilliant. I HAD to illustrate this story. 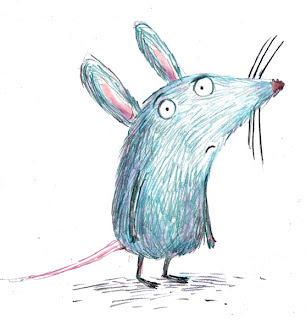 This mouse was a wonderful character and I loved him immediately. It was at this point that the idea almost seemed to take on a life of its own. While Mark was on holiday, I sent the text to a publisher I was working with - saying how much I liked it and would love the chance to try and visualise the character. They really liked it too and I could hardly contain my excitement when they said they would be happy for me to draw up some ideas. Which I did with relish. However the story didn't get the go ahead. 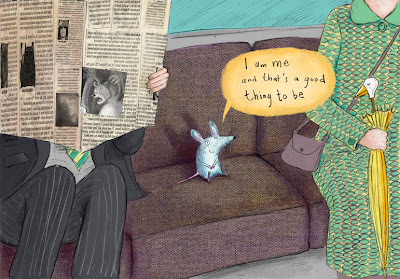 Eventually, it found it's own way to another publisher who suggested that the character could perhaps be re-written into a longer story with more depth to it. Mark put it in a drawer where it stayed for over a year - until one day the 'Me madness' came upon him again and a different story rushed from his pen almost overnight. 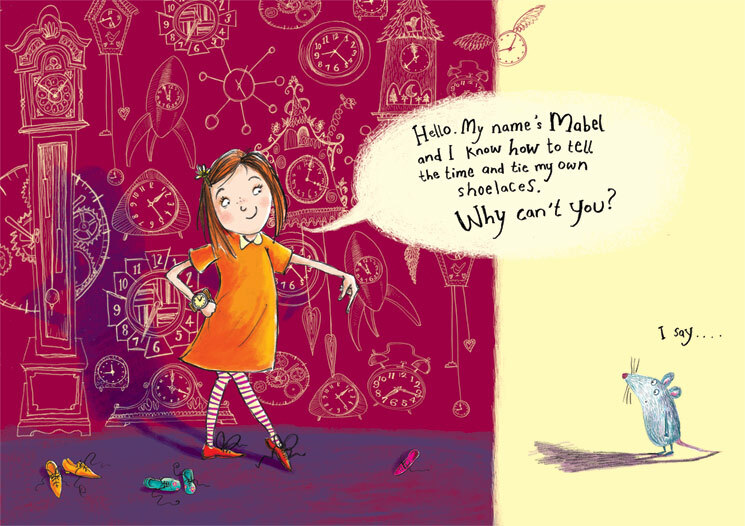 He'd taken the one time appearance of the girl Mabel from the original story and had created an unlikely friendship pairing of 'Mabel and Me' where Mabel is a confident girl of few words, where Me does most of talking. They existed in a nowhere and everywhere place, full of fun, friendship and opportunities for unusual meetings and adventures. The text made me laugh out loud. 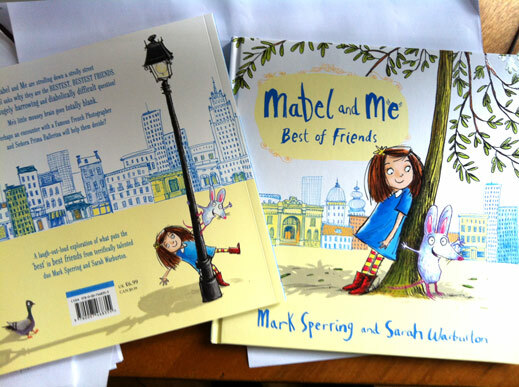 Mark found himself at a meeting with Harper Collins Uk where the Mabel and Me text was very favourably received . When asked if he had any illustrators he'd like to work with he mentioned me! I had an anxious wait. 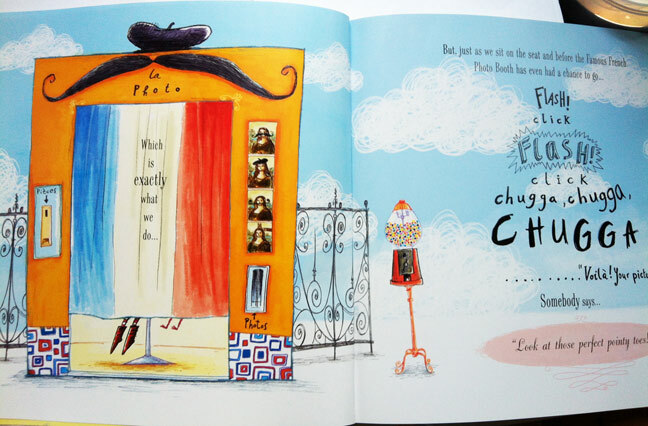 I imagined how I'd feel if I saw this book on the shelves eventually with another illustrator having worked on it. After picturing this story and character in my head for such a long time, I tried not to get too overly emotionally invested in the outcome, but it was really hard not to. However, one day the sun shined and I got a call from my agent. They would like me to illustrate the book! From that day on the sun never stopped shining with this project. It's been an absolute dream. We often pinched ourselves that we were actually, finally doing a book together. If I got stuck on a page, I simply went for a coffee with Mark who made suggestions. 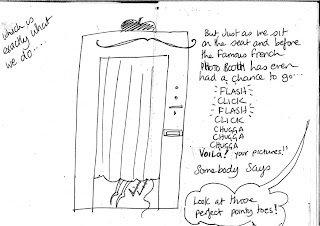 As Mark's original dummy was so visual, some pages were directly taken from them (as I felt they were so right). The spread as it appears in the book. As I sit here with the book in front of me, and glance over at the ragged dummy books we once sent off to publishers on the other side of me - I really feel like it has been a very worthwhile journey. 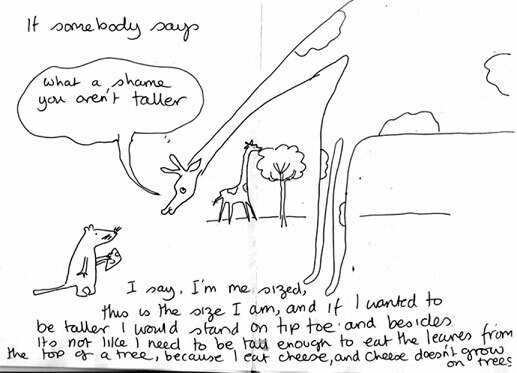 Much of my artwork in the rejected stories is actually pretty bad. They have a certain energy and humour but there's something missing. 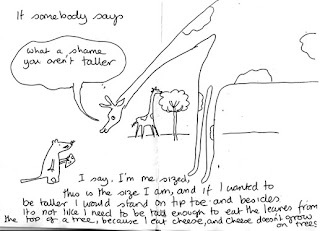 I think the publishers were right in turning them down in hindsight and without the rejection I don't feel I would have questioned myself so much and may not even be doing the kind of illustration I am today. The editor that originally suggested Mark re-work his story is to be thanked too, because even Mark himself probably didn't realise a better story could be around the corner. So we got there in the end. From concentrating on our own paths, but never quite giving up on the little dream that one day someone may give us the opportunity to create a book together. Rejection, re-working, re-looking and re-thinking. That is what makes the work better in the long run - and also remembering to laugh long and hard, the way best friends always do. 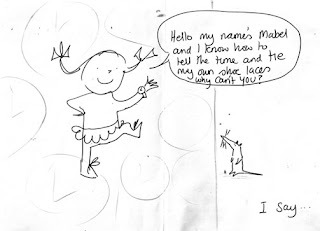 What a wonderful blog post... so nice to read all about the journey of Mable and Me, and Mark and You! Congratulations to you both... Patience has rewarded your talented efforts. Well done, Sarah & Mark. All the best for your lovely book. That's a fantastic insight and you'll have to both have a VERY big party to celebrate the journey of a special book and obviously a special friendship:) I've seen a sneaky peak at the book and I CAN'T WAIT to buy it!! Congrats to you both! Congratulations to both of you on sticking with it and finally getting the book published! It is really inspiring to read how the project evolved and heart warming that you never gave up. Wishing you much success. I am so, so happy for you both! To inspire others really is a great gift and you have truly done this for me. Congrats on publication - great display in Blackwell (Bristol)'s window. What a delightful post! Thanks so much for sharing your journey!